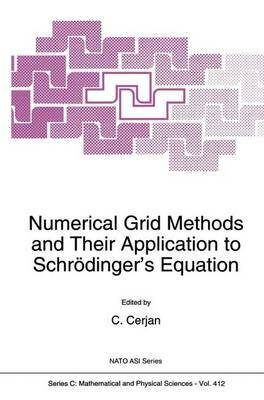 The use of numerical grid methods to solve the Schrodinger equation has rapidly evolved in the past decade.The early attempts to demonstrate the computational viability of grid methods have been largely superseded by applications to specific problems and deeper research into more sophisticated quadrature schemes. Underpinning this research, of course, is the belief that the generic nature of grid methods can enjoy a symbiotic development with advances in computer technology, harnessing this technology in an effective manner. The contributions to this proceedings demonstrate these points in full: several appli- cations displayed creative use and extension of existing grid methodology; other research concentrated on the development of new quadrature schemes or mixed numerical meth- ods. The research represented ranges from highly specific spectral simulations of van der Waals complexs to general schemes for reactive scattering. The novelty of grid methods in Density Functional Theory calculations should also be highlighted since it represents an alternative to standard basis set expansion techniques and might offer distinct advantages to the standard techniques. A deliberate attempt was made to present research material with more motivational and background discussion than is typical of research publications. It is hoped that these contributed proceedings will be useful to students and researchers outside the field to have a rapid and complete introduction to many of the exciting uses of grid methodology in atomic and molecular physics. Special thanks are due to the NATO Science Committee for its generous support of the activities of this workshop.